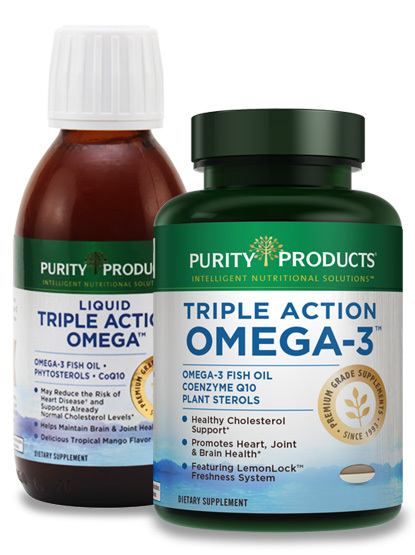 Purity’s Triple Action Omega-3™ represents yet another advancement in the field of nutritional supplementation. We’ve combined ultra pure, super concentrated Omega-3 Fish Oil, CoQ10 and plant sterols in one cutting edge formulation. Triple Action Omega-3™ helps you support healthy cholesterol levels∞ and replenishes your body with nature’s key energy factor, CoQ10. It also provides the multifaceted benefits of Purity’s super concentrated Omega-3 fish oil, all in one convenient, easy to absorb softgel or liquid. 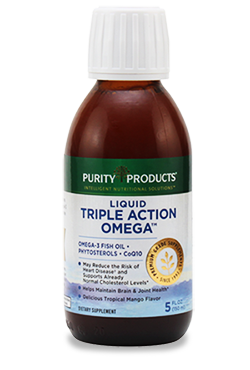 Triple Action Omega 3 is amazing. I highly recommend it. It really seems to have given me more energy and a better feeling throughout my body. I'll definately keep taking Triple Action Omega-3. 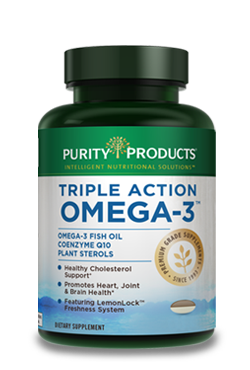 My husband and I have been using the Triple Action Omega-3 for a few months now and find that it is superior in quality. 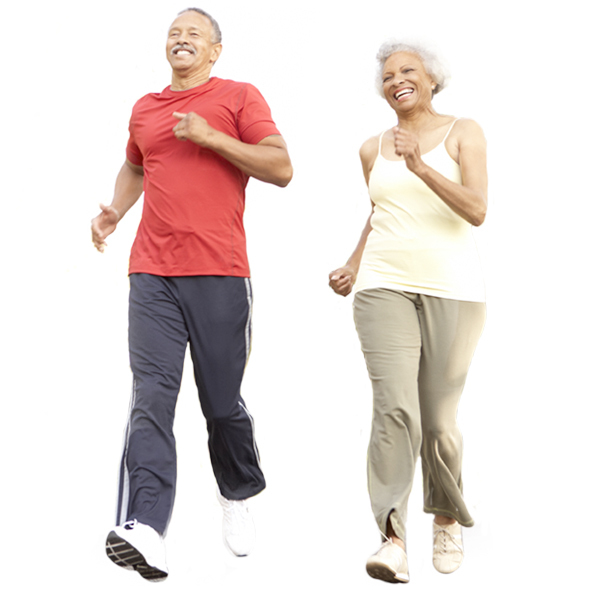 While Triple Action Omega-3™ is beneficial for many diverse areas of your health, its primary set of benefits centers around supporting proper cardiovascular structure and function. 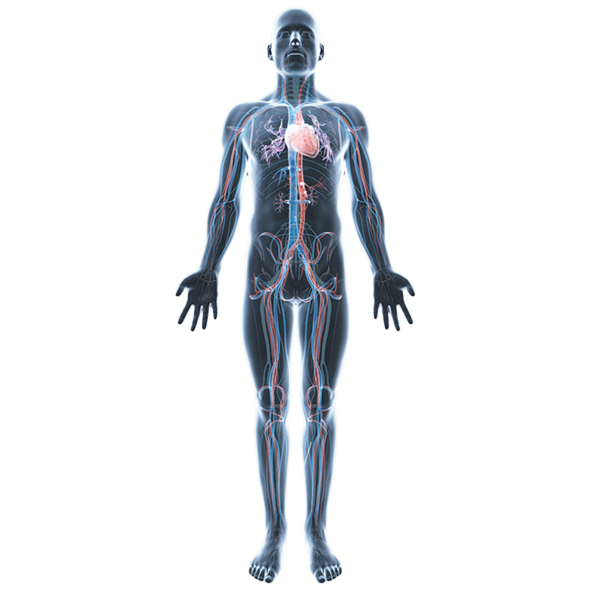 * Triple Action Omega-3™ comprehensively targets multiple dimensions of cardiovascular health. Consuming plant sterols as a regular part of a healthy diet low in saturated fat and cholesterol provides another option in the maintenance of cardiovascular health.∞ The provision of Vegetable Plant Sterols at 625 mg twice daily (a clinical Plant Sterol dose) is well established its role in supporting healthy cholesterol levels already within the normal range. 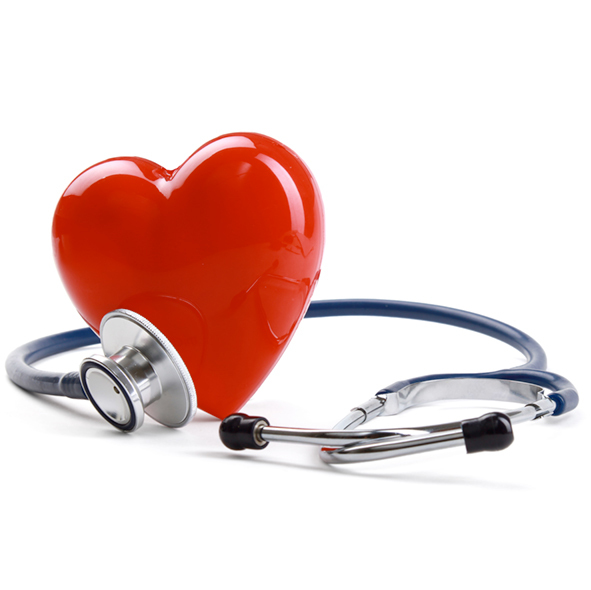 ∞ - Dietary supplements containing at least 0.65 g per serving of plant sterols, taken twice a day with meals for a daily total intake of at least 1.3 g, as part of a diet low in saturated fat and cholesterol, may reduce the risk of heart disease. 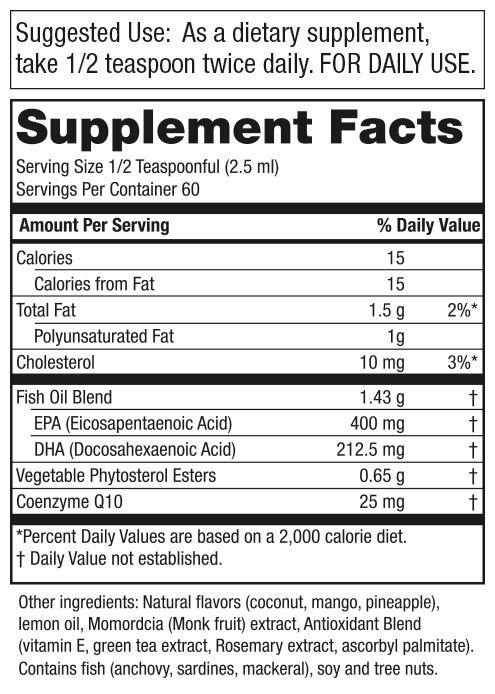 A serving of Triple Action Omega-3 Formula supplies 0.65 g of plant sterols. † - $4.95 shipping and handling fee applies. By accepting our exclusive Free bottle offer for Triple Action Omega™ (15-day supply softgels/30-day supply liquid) you will be enrolled as a Super Saver. As a Super Saver, you will receive 3 bottles every 90 days at the discounted price of just $39.95 per bottle (27% off retail), plus $4.95 shipping and if applicable your state and local tax, charged to the payment method provided today. Each bottle is a 1-month supply. Your first delivery of 3 bottles will ship about 2 weeks after you receive your Trial bottle, so you don't miss a day. If you wish to change the frequency, date of shipment or number of bottles on Super Saver, you can sign up for online access or call Customer Care at 1-888-769-7873.